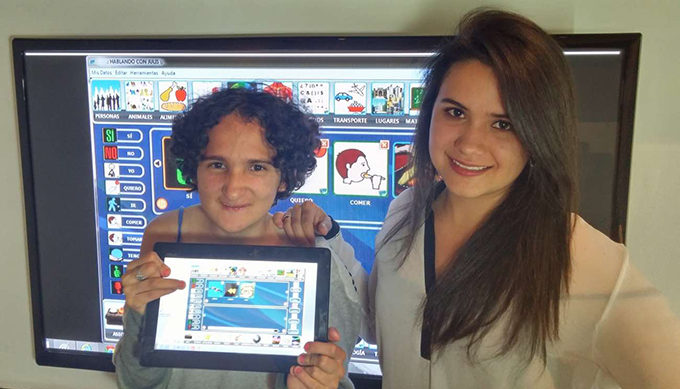 The results of the 2016 FRIDA Scale-Ups call for proposals have been announced and the two winning projects —a Colombian technology solution for people with speaking, reading and writing difficulties and an Argentine proposal for providing digital connectivity to community networks by means of open routers— will each receive US$40,000. Yesterday, the Regional Fund for Digital Innovation in Latin America and the Caribbean’s Selection Committee decided to provide financial support to Speaking with Julis (Colombia) and Open Router by Altermundi (Argentina), to strengthen these social enterprises and help them gain scale by replicating successful technologies. 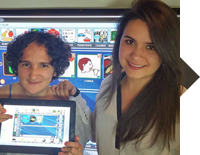 Hablando con Julis (Speaking with Julis) Born as a result of the personal need of one Colombian family, Hablando con Julis (HCJ) is a digital platform for people with speaking, reading and writing difficulties. It was created so that Julis, a twenty-four year old young woman with a speech impediment, would be able to communicate. The HCJ solution allows anyone to communicate, improve their pronunciation, and learn to read and write in a short period of time. It was designed for persons with speech difficulties, Down syndrome, autism, cerebral palsy, cases of illiteracy and those who have lost their ability to speak due to an illness. This project was named Social Innovation of the Year by MIT Technology Review. With more than 5,000 users in Latin America, it has already shown great results. Open Router. The Altermundi Civil Association (Argentina) created a model for bringing the Internet to areas and towns with no commercial service, by means of a system that will be managed by the beneficiaries themselves. This communications service can easily be replicated in digitally excluded regions by people without specific knowledge. The two selected projects will also benefit from an additional US$10,000 for institutional strengthening and capacity building activities. FRIDA is the Regional Fund for Digital Innovation in Latin America and the Caribbean. This LACNIC initiative is supported by the International Centre for Development Research (IDRC) of Canada and the Internet Society.